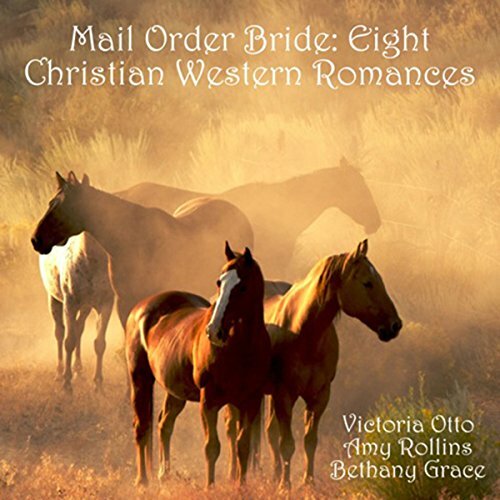 Showing results by author "Amy Rollins"
In this audiobook collection, you will find a variety of characters, mail order brides and husbands, who find their soon-to-be significant other in a variety of ways, but always with the involvement of our Lord, Jesus Christ. Please enjoy this labor of love! 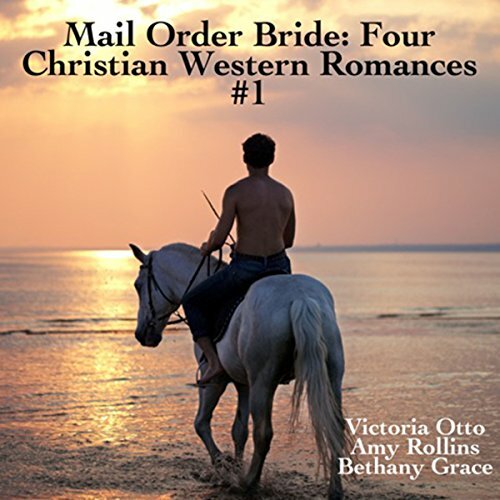 This collection contains the four Christian Western Romance audiobooks, including Mail Order Bride: Jasmine’s Lonely Cowboy, an emotional story about a lonely man with children who sends away for a mail order bride, and in return, gets so much more than he expected. Mail Order Bride: Sent by God to the California Cowboy is about a young woman in New York City who has fallen onto hard times after being released from the orphanage she’d been in for a majority of her life. 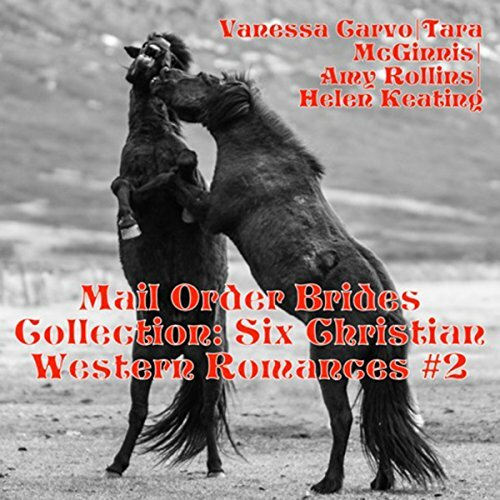 Mail Order Husband: Going to Meet Rebecca, Worth More Than Rubies is a wonderful story about a man who heads for Colorado and a family he intends to get to know if they’ll have him, as he’s answered a mail order groom wanted ad. Mail Order Bride: Two Sisters and the Family Quilt Go West for Love is the story of two sisters sent by their parents to California, where one is to be a mail order bride. God’s Way of Sending A Mail Order Husband: Abby, William, And The Little Man, is about young Abby who just loves horses. She’s out riding one day when she hears a thud and then a groan and then a mustang runs right past her and her mare. She finds out that the thud was the son of a neighboring rancher who she hasn’t seen for years. God's Way of Sending a Mail Order Husband: Abby, William, and the Little Man is about young Abby who just loves horses. She is out riding one day when she hears a thud and then a groan and then a mustang runs right past her and her mare. She finds out that the thud was the son of a neighboring rancher who she hasn't seen for years. When she looks into his gray eyes, she is hooked. 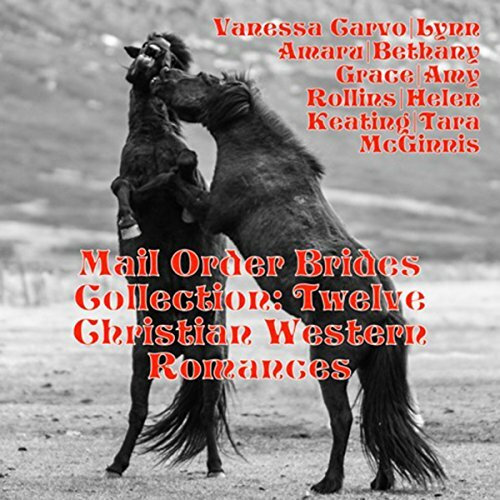 Mail Order Husband: Going to Meet Rebecca, Worth More than Rubies is a wonderful story about a man who heads for Colorado and a family he intends to get to know if they will have him, as he is answered a mail order groom wanted ad. He is a widower and she is a widow and their story after that is an emotional and satisfying one about family, faith, and the love for God. 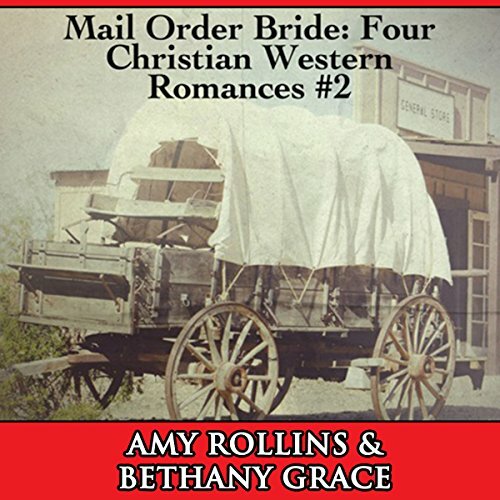 Mail Order Bride: Emily Seeks out the Traveling Preacher for Love is the emotional story of a Southern woman, right before the Civil War, who is determined to find a childhood sweetheart in a traveling preacher. When he told her that his life was being an evangelist and that traveling across the country wasn't exactly a good life for a Southern lady, she told him that she wanted to join him in his ministry, as she had attended school and learned all about preaching.